Purchased blank canvases allow you to have some artistic fun and create affordable art for your walls at the same time. Even if you don't consider yourself an artist, simple graphic prints and abstract designs are well within your creative reach. All you need are a few basic supplies, some free time, and a great set of instructions. Soon your walls will be beautifully decorated. 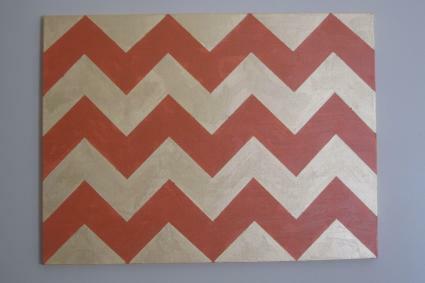 Chevron prints add a bold, modern touch to any room, and they are easy to create with paint and canvas. You can use any size of canvas for this project, but it's best if you choose one with dimensions divisible by three. Expect to spend a few hours making this custom art, plus a couple of days for drying time. Begin by drawing a grid on your canvas. Use your yardstick and pencil to measure and mark the edges of the canvas every three inches. Then line up the yardstick between two corresponding marks and draw a very light pencil line. 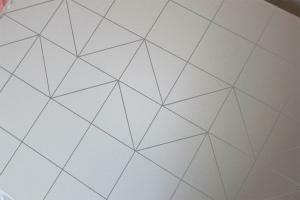 Repeat with all the marks to create the three-inch grid. Next, you'll draw the chevron pattern. Line up your yardstick so that it intersects the opposite corners of one square, and draw a very light diagonal line. 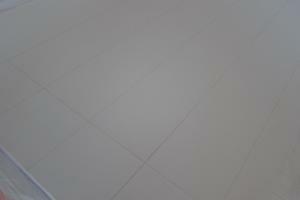 In the next square, draw a line going the opposite way. This will create a chevron point. Repeat until you have drawn the chevron pattern over the entire canvas. 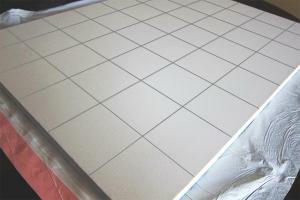 Place a plastic trash bag or other protective covering on your work surface, and put the canvas on top. Select the lighter color of paint and squeeze some onto one of the paper plates. 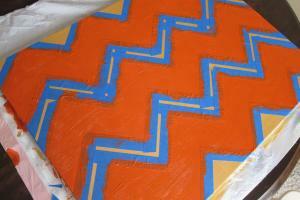 Use your foam brush to paint alternative chevron stripes in this color. Slightly overlap the pencil marks for the chevron pattern. You'll be able to see the pencil marks through the lighter color. Go over the middle of each stripe again with a second coat to hide the grid lines. Don't forget to paint the edges of the canvas. Allow the canvas to dry overnight. 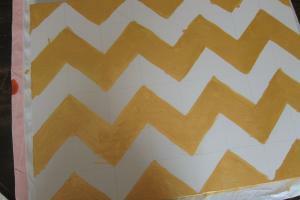 Once the canvas is completely dry, you can place painter's tape over the chevron stripes you already painted. Use scissors to cut each piece of tape at a slight angle. This will allow you to create a nice crisp point for each chevron. 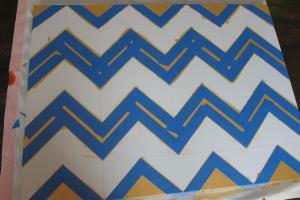 Place the tape just inside the diagonal pencil marks for the chevron pattern. You'll be covering the pencil marks with the darker color of paint. When you're done taping, use your fingernail to press down on the edge of the tape all over the pattern; this will help ensure a good seal. Squeeze some of the darker color of craft paint on the other paper plate. Dip your foam brush in the paint and distribute a layer of paint over the remaining chevron stripes. Remember to paint the edges of the canvas too. Use care not to get any of the paint on the untaped areas of the lighter color. Depending on the level of coverage you get with the darker color, you may need a second coat. Wait until the paint is tacky but not quite dry, and then carefully remove and discard the painter's tape. Allow the canvas to dry completely. Then choose a spot to display your art in your home. You can create an abstract nautical painting that says anything you like. 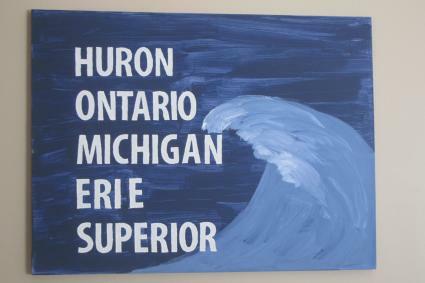 This example uses the names of the Great Lakes, but you could choose the names of the oceans or a favorite vacation destination. You could also choose a fun saying like "Ahoy matey!" or "Setting sail!" This project takes about two hours, plus drying time. Decide how many lines of text you'll have. Allow three inches of height for each line of text, plus an inch and a half each for the top and bottom of the canvas. Measure and draw light pencil lines on the canvas to guide your letter placement. Don't forget to draw one vertical line on the left side of the canvas to act as a margin. Place the letters just above the corresponding pencil lines to create your message. 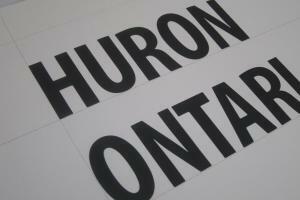 Use your fingernail to press down on the edges of each letter to get the best seal possible. Squeeze some of the blue craft paint on the paper plate and use a foam brush to begin applying it to the canvas. As you near the letters, use care daubing the paint on the canvas. These letters help to create your message, but the vinyl doesn't seal perfectly to the canvas. You'll be touching up any areas of paint bleed later in the project. Apply a second coat if you desire. Squeeze both white and blue paint on your paper plate and use your brush to mix the colors. Paint an abstract wave design on the corner of the canvas. 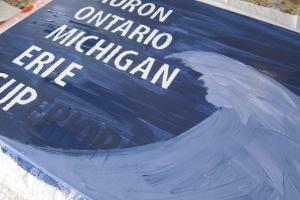 Add more white paint to the plate to give the point of the wave a whitecap. When the paint is tacky but not quite dry, carefully remove the letters. Allow the paint to dry completely. The edges of the letters may have bled slightly. To fix this, put some white paint on your second paper plate, and use the fine-tipped brush to touch up the edges of the letters. Allow the entire project to dry and then display it on your wall. Welcome to Heardmont has a fantastic tutorials for painting an "I Heart My State" canvas. It's an easy project and a great way to show off your state pride. 4 You With Love offers instructions for making a light-up canvas which doubles as wall art and a night light too. It uses Christmas lights to provide a soft glow. Oh Happy Day has a tutorial for making abstract art that breaks the process down into steps anyone can do. You can create a cool painted canvas to match any decor. 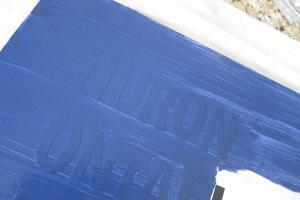 Lil Blue Boo is a great resource for making a canvas with a distressed look. The tutorial will show you how to use scrap paper, glazing medium, and sandpaper to give your canvas a rustic touch. There are lots of advantages to creating your own wall art. You can match any decorating scheme, have a custom piece that perfectly fits your personality, and feel proud that you created something beautiful to decorate your home. The best part of painting a blank canvas is that anyone can do it, whether you've got a degree from a prestigious art school or you simply want a fun and easy afternoon project.